Reg’s Wine Blog – Post # 50, La Grande Dégustation, Montreal Wine Show 2017, Part 1, Nov 21, 2017. The Reg’s Wine Blog staff and editorial team visited the Montreal Wine Show on Friday November 3rd. I have been attending this show for over 30 years now, I always enjoy myself at this show, and I always learn something. This year was no exception, the themes of the show were the Riesling grape, Washington State wines, and Champagnes. I am pleased to report that I covered all three major themes by visiting with several producers under each theme. Although there never seems to be enough time to visit everyone you want to meet, there is only room in my blog to report on the most interesting of those that we did meet. I also want to congratulate the organizers of this year’s event for the smooth flowing logistics, the event was very well organized, ran smoothly, was well attended as usual, and well enjoyed by everyone that I bumped into, and if I bumped into you, I am sorry because I was having such a good time, I may have gotten a little carried away. The truth be known, my wife did not attend as she was ill that evening, so I had nobody reminding not to drink all the wine I was tasting. We will save that subject for a future blog. 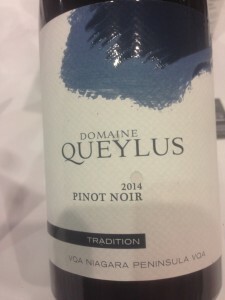 I started the show by visiting with Thomas Bachelder from Domaine Queylus in the Niagara region. Queylus had five red wines available for tasting and I tasted them all. The best wine by a wide margin was the 2012 Pinot Noir Reserve, showing a rich and full fruit taste, round, mature, a well balanced and smooth aftertaste that kept on going. This 5 year old wine shows enough age to be mature and open, fragrant and luscious, and will easily stay together for another 5-10 years. An excellent Burgundian type effort that will be very interesting to taste and follow for years to come, if you can find any. The Queylus 2014 Pinot Noir Tradition was clearly younger, still a little rough around the edges, and needs more time in the bottle to settle down and soften up. The 2014 Cabernet Franc Tradition needs more time to soften up as well, yet it is clearly a wine made for drinking young. A great black fruit fragrance on the nose, just a little too short on the palate, which left me thinking this wine would probably soften up nicely with 3 hours decanting, something impossible to do at a wine show. The 2012 Cabernet Franc/Merlot Reserve works very well on the palate, nicely balanced and nicely blended, but still not as good as the 2012 Pinot Noir Reserve. 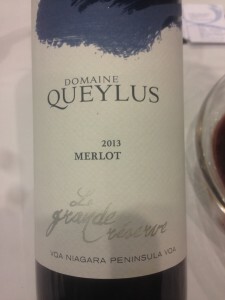 The 2013 Merlot Grande Reserve is still young and needs more time in the bottle, but is now already showing great black fruit and chocolate on the nose that carries on over to your palate. A little more age will smoothen out the overall effect and carry the full bodied Merlot fruit further into the aftertaste. A great Merlot in the making here, a wine that will easily last 10-12 years. About a week after the show I had an opportunity to taste the 2012 Queylus Chardonnay Tradition. 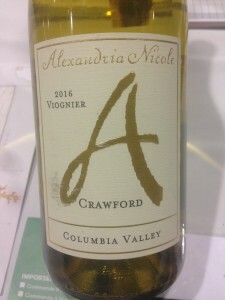 Again I was impressed, the Chardonnay fruit was full, round, plush, and ever so nicely balanced with enough acidity to settle into a very pleasant flint/mineral aftertaste that one associates with a fine white Burgundy at 5 times the price. Wow, pretty good value in my opinion. 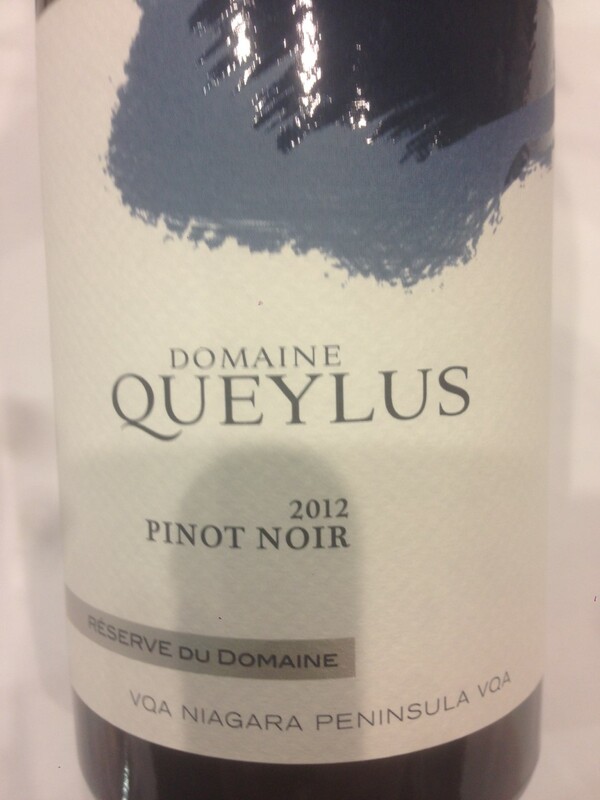 Queylus is making some outstanding wine for such a young winery, a rising star to keep your eye on! Moving on I was then introduced by Raymond Nantel of Nantel and Associates (local wine consultants representing several major Washington State wineries) to Mickey Dunne, the owner of Powers Winery in Washington. We tasted 5 Powers wines, starting with the 2016 Powers Viognier Columbia Valley, which I found clean, crisp, balanced with good fruit, and not overpowering. 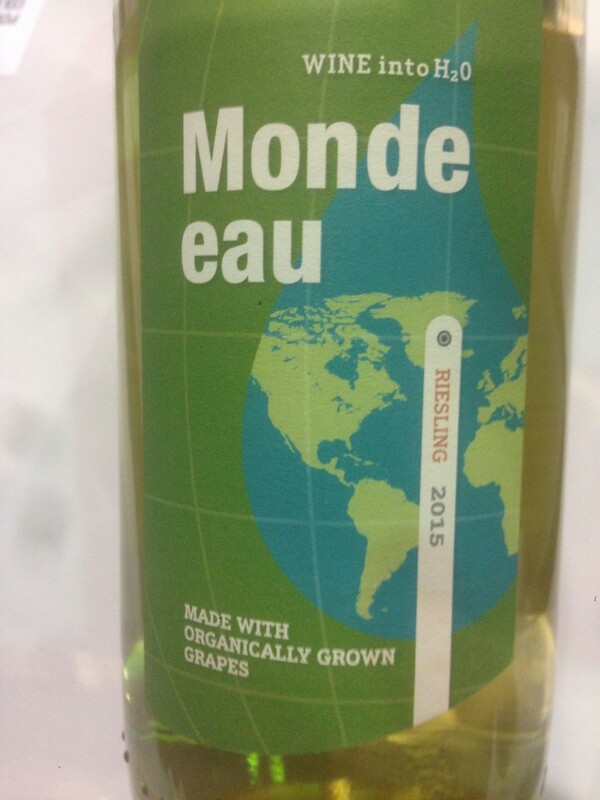 The 2016 Monde Eau Riesling was soft, fruity, mature and not green like many new world Rieslings, and it is an organic wine. The 2015 Powers Syrah Columbia Valley was a huge surprise as the Syrah fruit was soft and sweet, while I had expected something rough, course, and green. 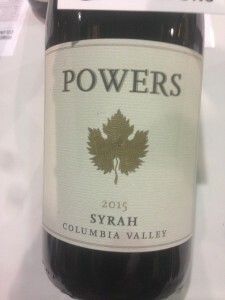 So often young Syrah is just unpleasant to taste, but Mickey’s Syrah was full, round, soft, and a very friendly sipping wine. Congratulations Mickey, this was the best young Syrah I have tasted in years, well done. 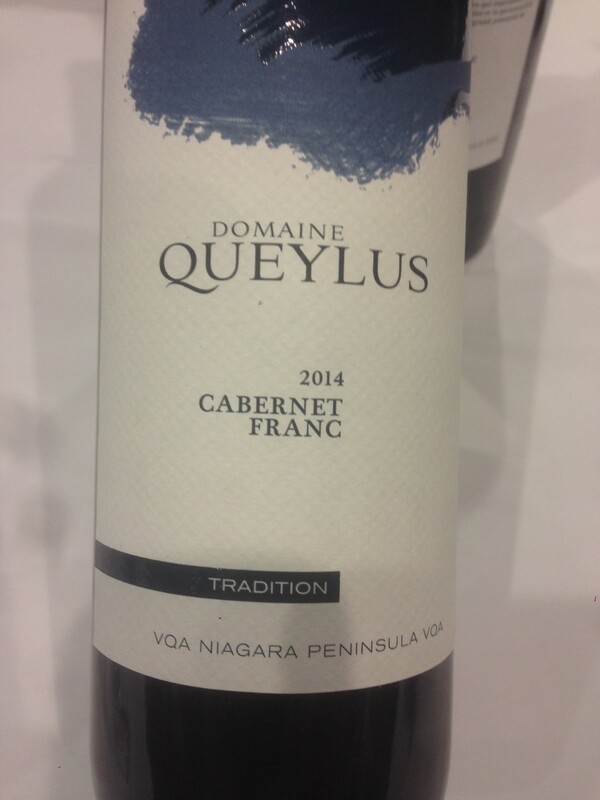 The 2014 Cabernet Sauvignon Columbia Valley was a little light compared to what I had tasted a few minutes earlier at Domaine Queylus, but it was fruity, soft and delicate, so it worked quite well. The wonderful thing about all 4 of these wines is that they were priced at $19.95. Finally, I tasted Mickey’s top of the line wine, his 2013 Cabernet Sauvignon Horse Heaven Hills Champoux Vineyards, listed at $35.00 per bottle. The wine was drier and easily in need of another 3-5 years of aging before opening. Grape vines averaged 41 years old, and this wine will last another 25 years in the bottle. A huge wine with black cherry, berries and caramel on the nose and palate, finishing with aromas of cedar, cigar box, and earthy tones. 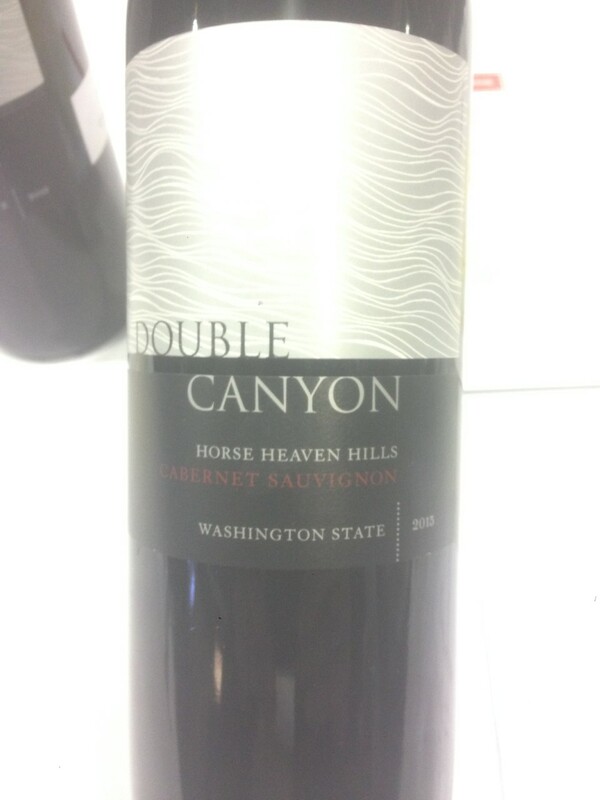 I had no idea Washington grapes had the capacity to make such full bodied, powerful wines. 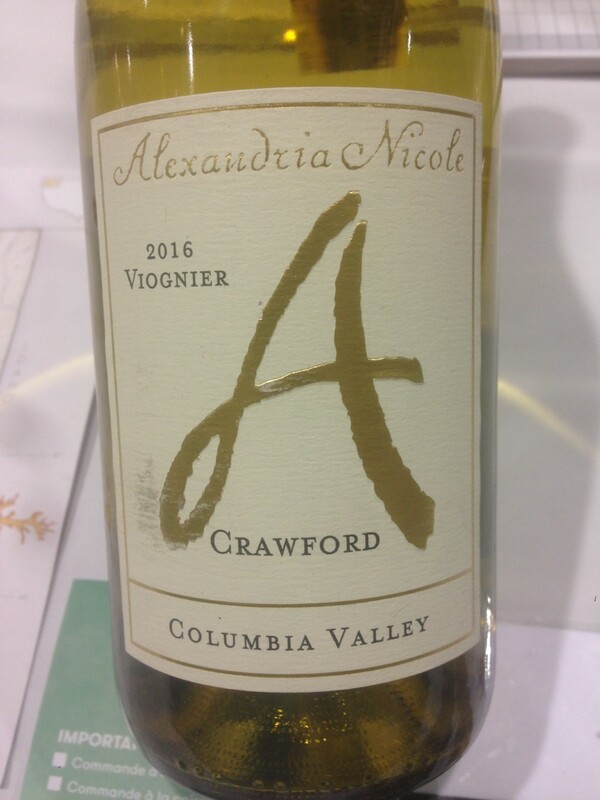 Next we had Ryan Strom from Alexandria Nicole Cellars guide us through a tasting of their 4 wines. 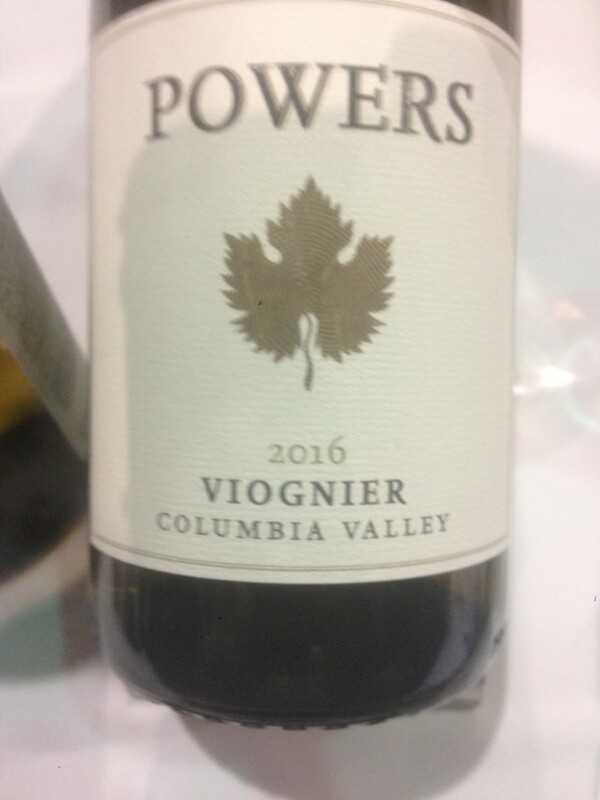 We started with a rather standard Rhone styled 2016 Viognier white, with lots of fruit, rich on the palate, and a solid aftertaste. The 2015 Shepherds Mark is a Rousanne (62% ) / Marsanne (26%) / Viognier (12%) blend, with a very interesting and unique cinnamon aftertaste to the wine. This is a big wine that will work well with fish and chicken dishes and thick, rich sauces. An exotic blend of floral and fruit fragrances that finishes with a subtle but clearly present cinnamon spice aftertaste. I loved that aftertaste, and I still get hungry thinking about it! 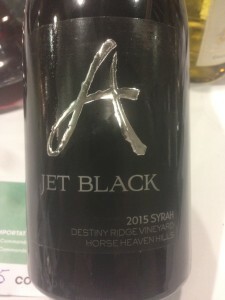 The 2015 Jet Black Syrah is a great wine in the making, aged in oak, dark purple in color, great legs on the glass, buzzing with rich cherry and plum fruits, offset and balanced by cedar, cloves and other spices. This wine needs another 2-5 years in the bottle to finish coming together, and in the meantime all the components are there to enjoy now if you cannot wait. 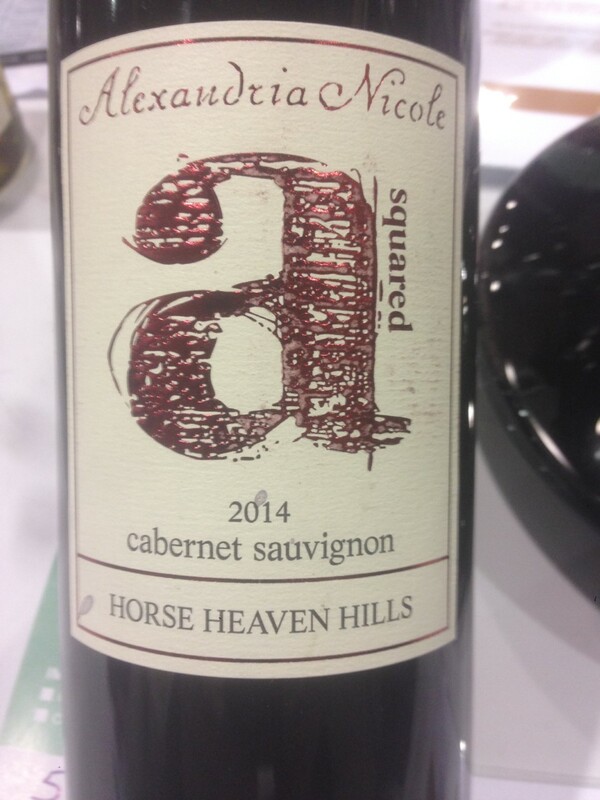 The 2014 A Squared Cabernet Sauvignon was soft, fruity, but not as great a wine as the Jet Black. To me the Shepherds Mark and Jet Black were the stars at this tasting booth. Our last stop in the Washington wine section was with the Seven Hills and Double Canyon producers, where we tasted the Double Canyon 2015 Horse Heaven Hills Cabernet Sauvignon, which I found to be rather soft and flabby, too light on the finish, and certainly overpriced at $33.00. 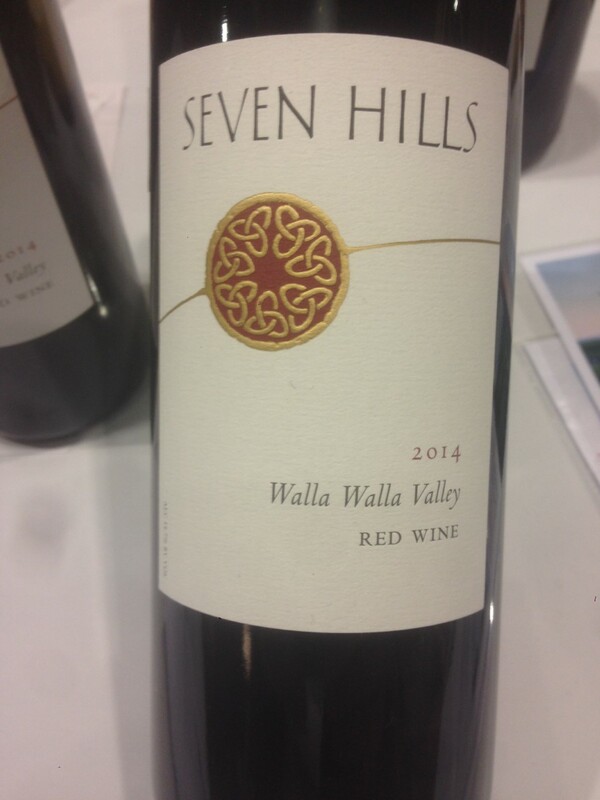 We next tasted their Seven Hills Red Wine 2014 from the Walla Walla Valley. This was a blend of 85% Cabernet Sauvignon, 10% Malbec and 5% Petit Verdot, this was also their first release of this wine, so do not look for it on their website, you will not find it. I found the fruit on the palate very ripe, forward and expressive, but I confess I was disappointed with the price of $51.00 per bottle. 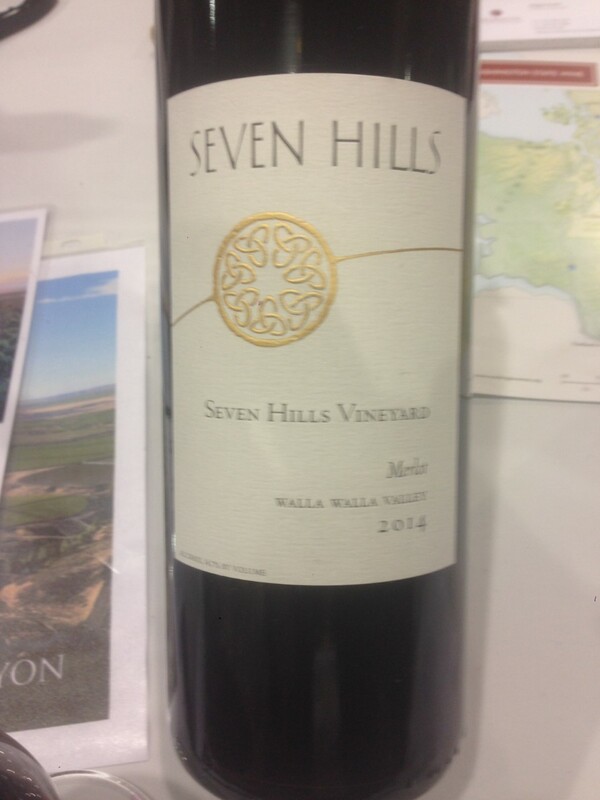 The 2014 Seven Hills Merlot Walla Walla Valley retails at $45 US and was $65 CDN at the show. The Wine Enthusiast rates the wine at 92 points, I found the wine still pretty harsh and green, so even though I am sure it will soften up in time, it is difficult to assess without having an older vintage to compare against, hard to determine if this wine is worth the price. 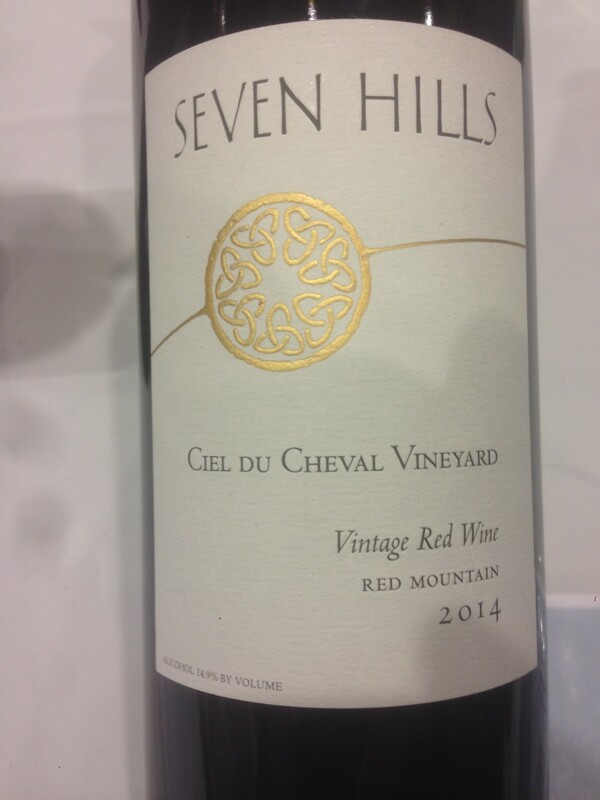 We next tasted the 2014 Seven Hills Ciel de Cheval, their top of the line red with a typical Bordeaux blend of 46% Cabernet Sauvignon, 30% Marlot, 17% Petit Verdot and 7% Cabernet Franc. 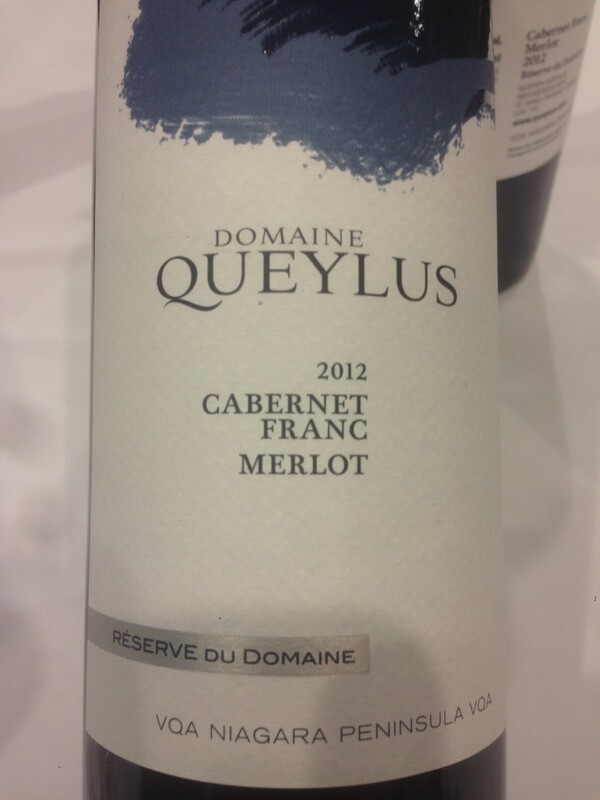 Once again the wine was rated highly by the Wine Enthusiast at 92 points and retails at $55 US or $78 CDN at the show. So I was expecting more than I got, what I got was a fragrant nose of raspberries, but loose on the palate and not enough follow through on the aftertaste. This was from 27 year old vines and their 14th vintage on this product. 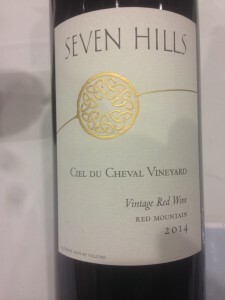 Perhaps the Seven Hills wines did not travel well, but for whatever reason the whole group failed to impress, and did not convey the impressions one expects from a 92 point wine. Alas, it was time to move on to Champagne to cleanse our palates. Next week I will post part 2, commencing with our Champagne tasting. In the meantime, as I reflect on the above wines, the most important observation I can make is the need to taste as many wines as possible at a wine show. 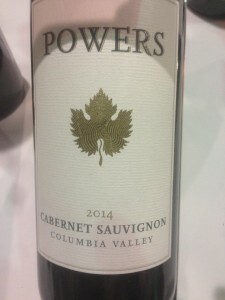 Finding such delights as the Powers wines at under $20.00, and such disappointments as the Seven Hills wines at $60.00 – $80.00 is all part of the learning experience, and why I continue to find such value in attending this show year after year! 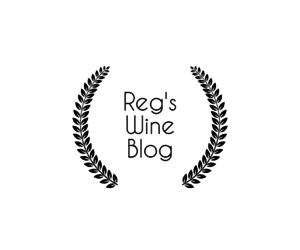 Reg’s Wine Blog – Post # 49, Ever Had a Bad Bottle of Wine? What You Should Do About It, July 21, 2017. Reg’s Wine Blog – Post # 51, La Grande Dégustation, Montreal Wine Show 2017, Part 2, Nov 28, 2017.